Hey all. I have a Mark 75 but the gearcase is cracked pretty badly. 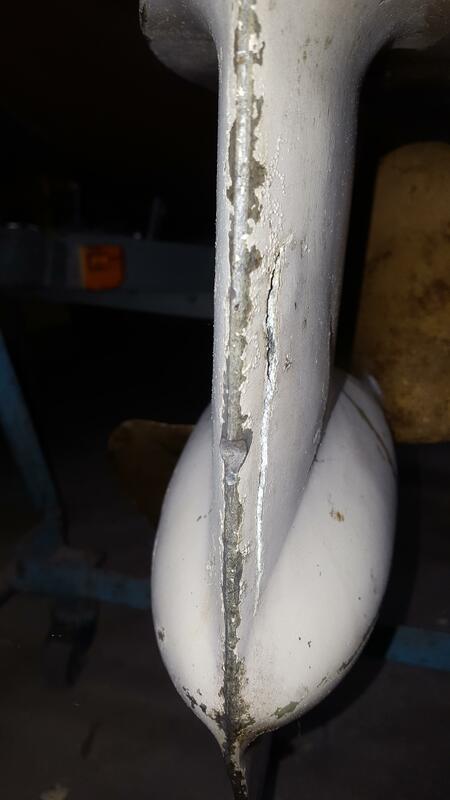 The previous owner said a little epoxy puddy would fix it. What are your thoughts? I'm going to replace it but it would be nice to salvage it so I'd have another on hand if needed. I'm on my phone right now but here are some pictures. That's a very typical problem, the cavity in the fwd end of the lower unit is supposed to have a drain hole at the bottom; the hole gets plugged with debris/corrosion products, then the "trash" builds up and eventually breaks out the housing. Or it sits with water/trash/etc, freezes, and busts it out. Far as I can recall that's not an oil-containing area, so you should be able to effectively weld-repair the crack. Be sure to clean all the gunk out of the cavity, and restore the drain hole, so it doesn't happen again. I'll have to agree with Ed here. If not oil containing, go ahead and do it! Good Luck! Thanks for the advice! Here are the pictures as promised. that is not a problem to repair as stated above wont affect the operation of the motor. it is an empty cavity. The responses you receive are correct, but if you want an unmolested gear case,... (a complete lower unit),...I have several short shaft units I'd sell. If it is a long shaft I don't have one. Feel free to PM me if I can assist you. 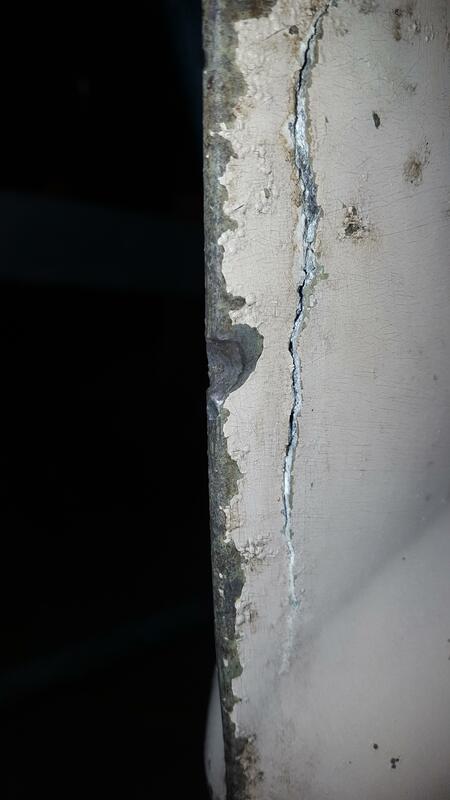 Welding or replacement is the best option here, that is one hell of a crack and a lot of the structure has been compromised. I would take Thom up on his offer if it was me. Where is the drain hole located? 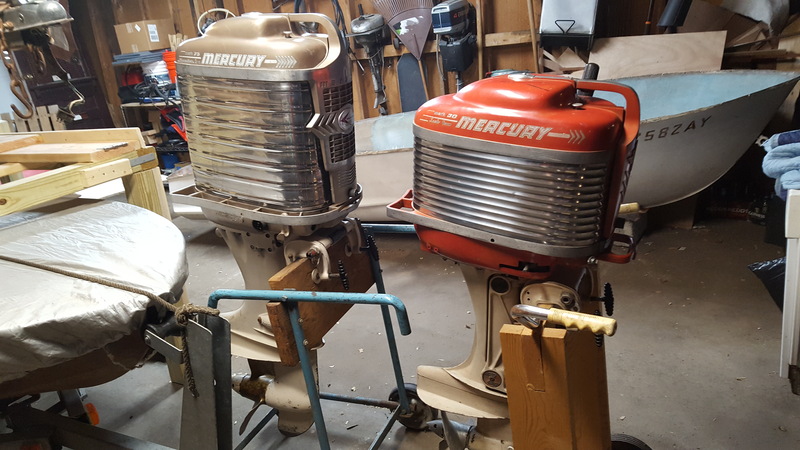 Would there be the same cavity and drain in a '60 Merc 800? At the bottom of the cavity, either on the leading edge or the Port side, as I recall. If the hole is plugged with years of debris, it might be hard to find. 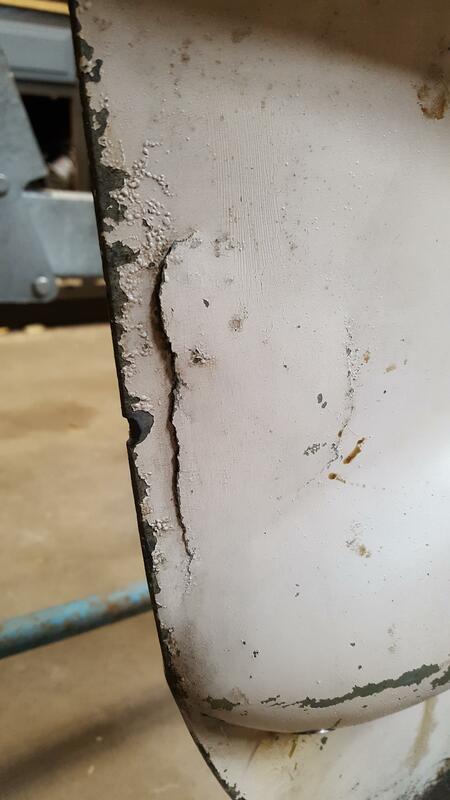 If the paint on your L/U is intact, look for a corroded area, since typically you'll get corrosion around the hole. Note that any of the lower units with a cavity at the front end of the gearcase would have a drain, otherwise water would collect, freeze and crack the gearcase.